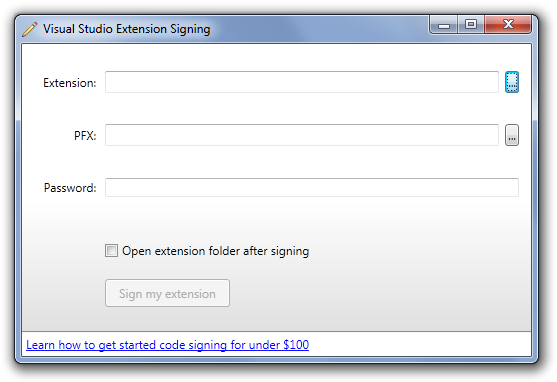 To follow up my “epic code signing” post, I wanted to share a small app I built to code sign Visual Studio 2010 Extensions. 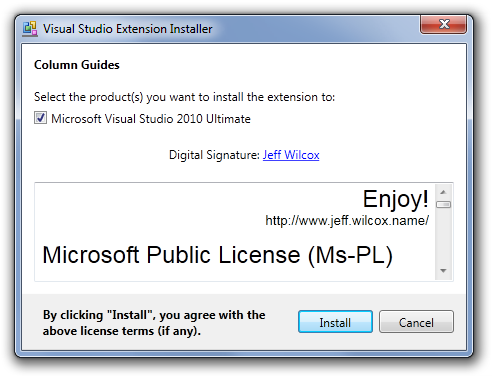 This is a simple .NET 4 app that allows you to select your .Vsix file, your .Pfx file, enter a password, and sign away. 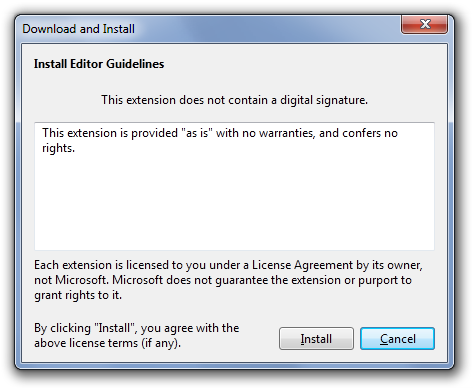 The new .Vsix files are really glorified zip files, and the extensions manager is able to identify when such files have a verified digital signature. However, there isn’t a Subject Interface Package (SIP) for VSIX, so the traditional SignTool.exe program cannot sign extension packages. Instead, you need to use the System.IO.Packaging namespace and the PackageDigitalSignatureManager type to sign, using a X509Certificate2 type.